The mission of R.L. Hayes Roofing & Repairs is to provide honest, reliable, residential and commercial roofing services that stand head and shoulders above the rest. With over 35 years of experience in, roofing and home renovation, our knowledge of home construction allows us to properly and accurately diagnose any roofing issue. We continually strive to exceed expectations by ensuring that each roofing installation is completed on time and within budget. When planning your next roofing repair or roofing replacement, rely on a company that offers unparalleled knowledge, experience and expertise. Contact us today to learn more about what sets us apart from the competition. We look forward to the opportunity to serve you! When it comes to the roof on your home or business, you need an experienced roofer you can trust! R.L. 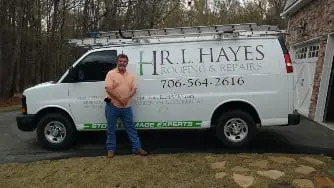 Hayes Inc. was established in 2000 by Roy Hayes – an experienced roofer with over 30 years of experience. Along the way the quality of workmanship and strong customer relationships have earned them awards and an arsenal of loyal homeowners. R.L. Hayes has always paid meticulous attention to detail and expertise when it comes to roofing. Contact R.L. 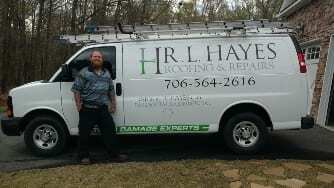 Hayes today for a free quote on your new roof installation, or roof repair.